Unequal By Design critically examines high-stakes standardized testing in order to illuminate what is really at stake for students, teachers, and communities negatively affected by such testing. This thoughtful analysis traces standardized testing’s origins in the Eugenics and Social Efficiency movements of the late 19th and early 20th century through its current use as the central tool for national educational reform via No Child Left Behind. 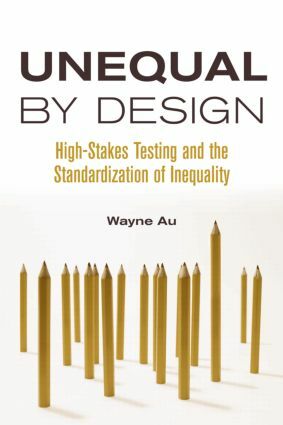 By exploring historical, social, economic, and educational aspects of testing, author Wayne Au demonstrates that these tests are not only premised on the creation of inequality, but that their structures are inextricably intertwined with social inequalities that exist outside of schools.